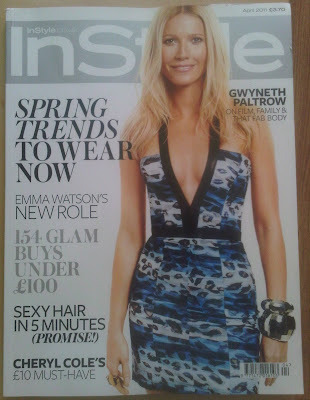 Gwyneth Paltrow covers the April issue of InStyle UK. This is Paltrow's second InStyle cover as she was the cover star for the American publication in January. Paltrow as of recent reprised her role as Holly Holliday on the hit show Glee. With a focus on her singing currently rumours a spreading whether Paltrow will have a solo career as a singer soon. Paltrow looks tres hot on the cover, the 38 year old still has a banging body. I'll be grabbing myself a copy, InStyle is always a good read.